Description: Get that incredibly customized appearance you've been looking for. 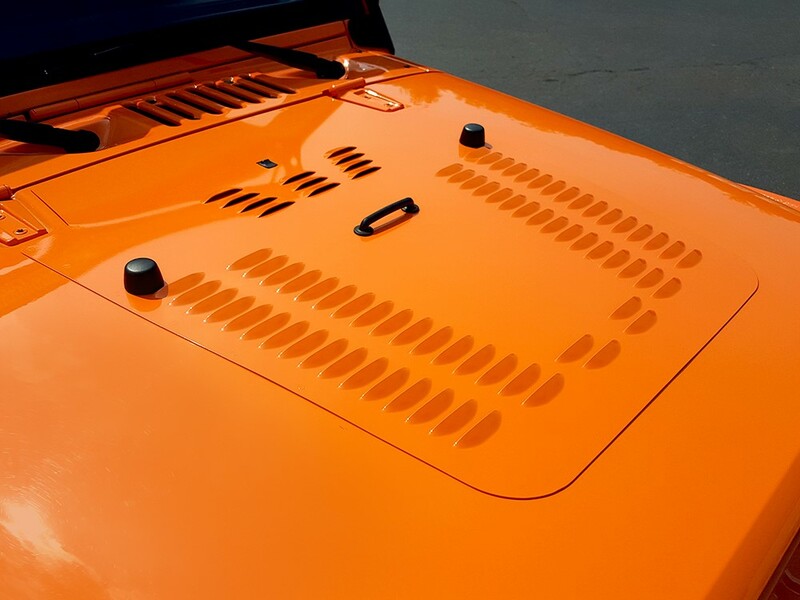 Hyline Offroad's fully functional hood louvers feature heat-venting louvers located in the most crucial areas above the engine bay. These are made from aluminum and feature a single piece design for a nice, clean look. 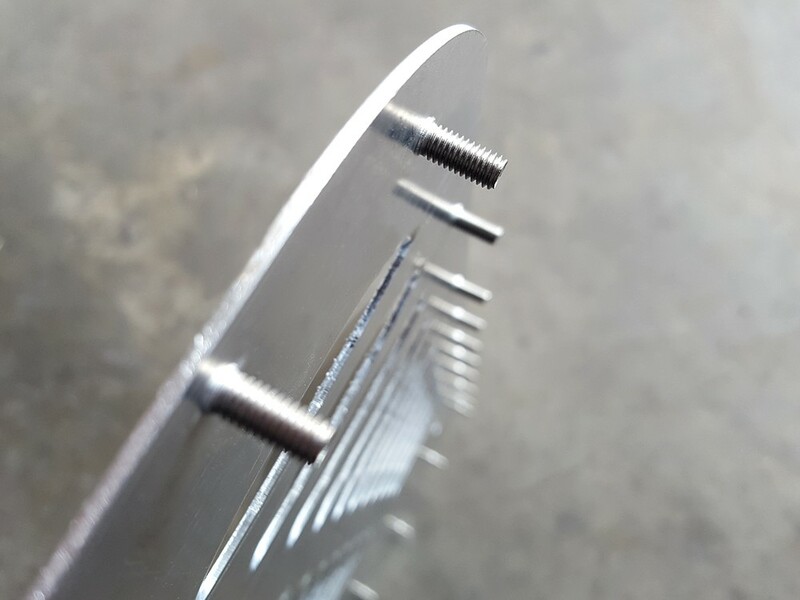 Flush head threaded studs are already pressed into the panel for a great smooth finished appearance. 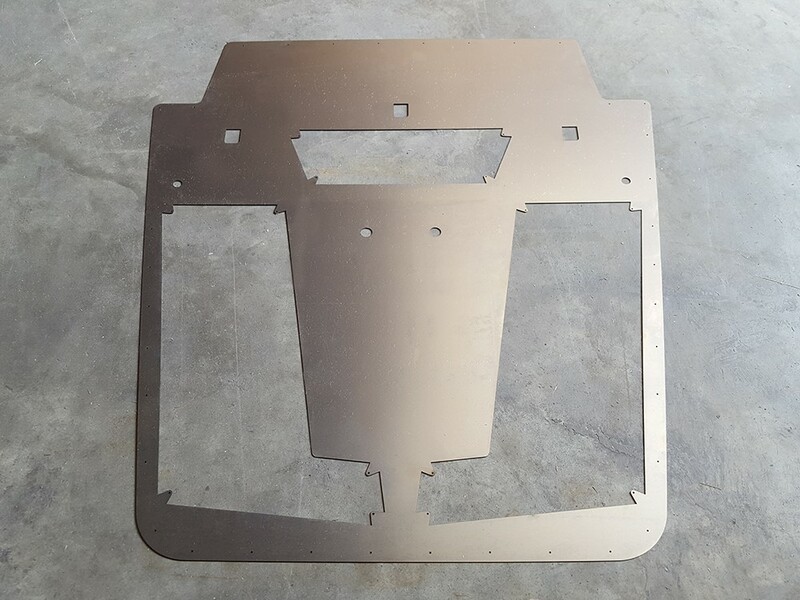 Installation is a breeze with our precision laser cut metal template for drilling and cutting out the vented areas. No need to guess where holes go as with a paper template. Just lay the steel template on your hood, drill and cut holes. 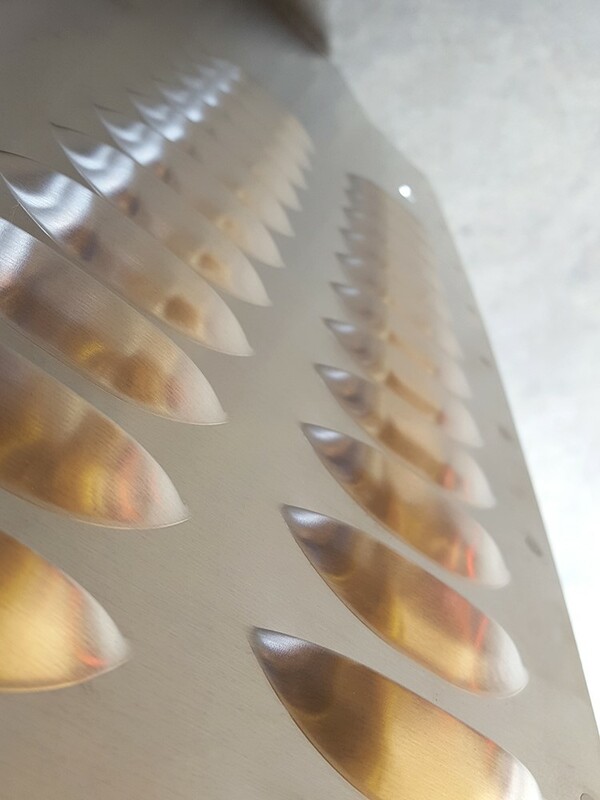 The hood louvers come complete with black semi-gloss powder coat or order the raw unfinished aluminum panels. 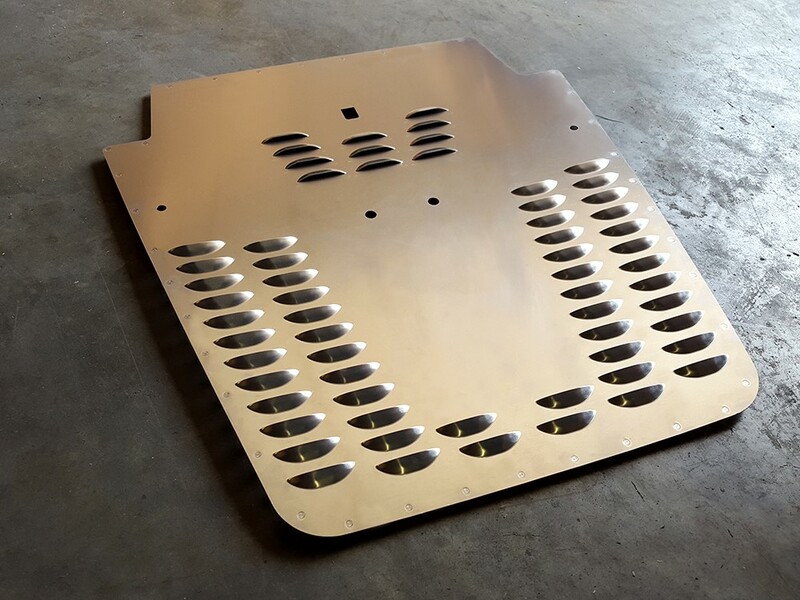 Be sure to order the appropriate hood louver based on your model year and number of windshield washer nozzles your vehicle has. Ratchet, 3/8”, 9mm, & 10mm Socket, T-50 Torx, Variable Speed Drill, 1/16”, 3/16” & 1/4” Bits, 1” Hole Saw, Cut Off Wheel, Permanent Marker, Painters/Masking Tape, File or Sandpaper, Clear Rust Inhibiting Spray Paint & Safety Glasses. Hood Louver, steel template, installation instructions & all mounting hardware.